It was still clear that the health and hygiene content delivered during the community engagement training bore visible and lifelong fruits. People were observed washing their containers before collecting water, just to stress a point on proper water handling. A year ago, generous donors helped build a spring protection with the community surrounding Walibese Spring in Kenya. Because of these gifts and contributions from our monthly donors, partners can visit project sites throughout the year, strengthening relationships with communities and evaluating the actual water project. These consistent visits allow us to learn vital lessons and hear amazing stories – we’re excited to share this one from our partner, Erick Wagaka, with you. 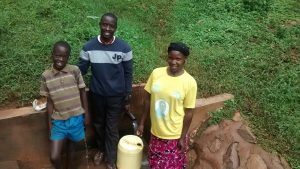 The community members have developed a new sense of belonging upon the successful construction of the protected spring and the provision of sanitation platforms to five needy households. 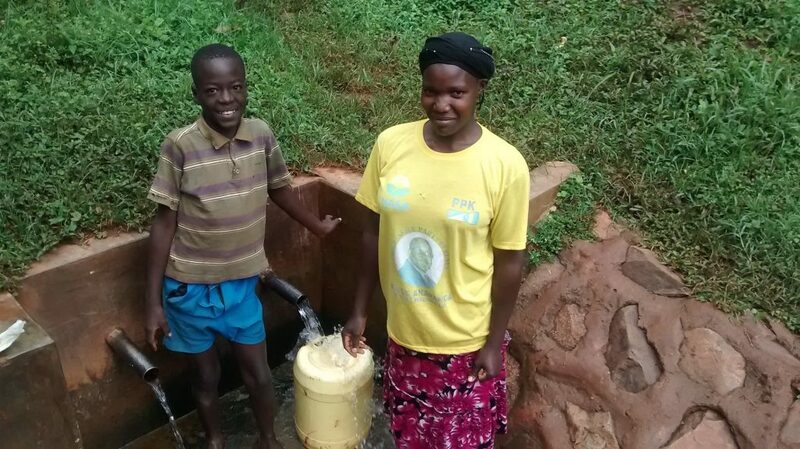 The reliable water point has given a new pride and honor to these people because they can now discuss other developmental issues such as sensitizing the community on gender emancipation. 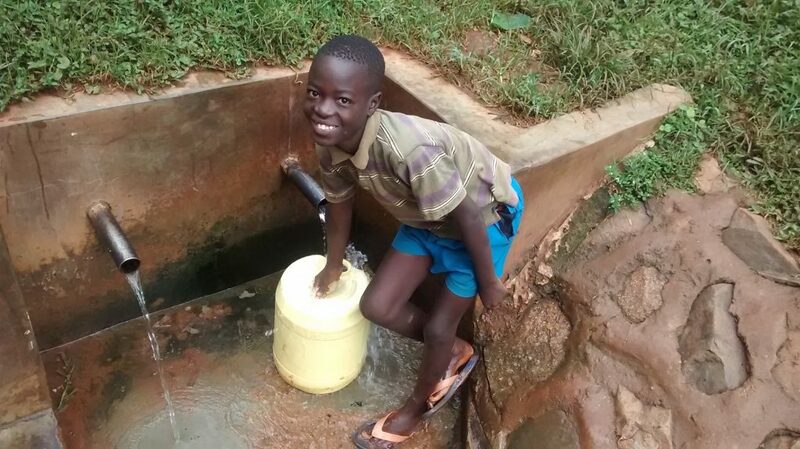 The boy child can now agree to be sent to the spring point unlike before where girls alone could be seen taking several trips to collect water for household use. The construction of five sanitation platforms triggered the majority to think positive about improving their makeshift latrines upwards along the sanitation ladder. The water user committee together with the spring users have preserved the spring point very well. At the time of visit, the spring was discharging at 13 seconds to fill up 20 liter jerry can. Despite the challenges of accessibility due to the bad terrain leading to and from the spring, the community had managed to control soil erosion around the spring area. It was still clear that the health and hygiene content delivered during the community engagement training bore visible and lifelong fruits. People were observed washing their containers before collecting water, just to stress a point on proper water handling. When you invest in The Water Project, you're investing in people like Janet. Your gifts help us reach more communities with the gift of clean, safe water. And every drop helps unlock potential.